I’m Tanya and I craft, create and decorate at twelveOeight. Our family loves decorating for fall every year, but after the pumpkins are on the porch, I like to make a few new things to usher in the falling leaves and chilly mornings. And, if the project includes easy to find supplies, even better. I don’t really do any knitting or crocheting, but I cannot pass up the beautiful, rich variety of colors in the yarn aisle. With a nod to the earth tones of the season (any maybe a bit of the 70’s too!) I used a few super simple craft supplies to make my fun new wreath. Next I used a package of chartreuse and brown ric-rac and criss-crossed them around the wreath securing the ends together where my pom-pom’s would be attached. 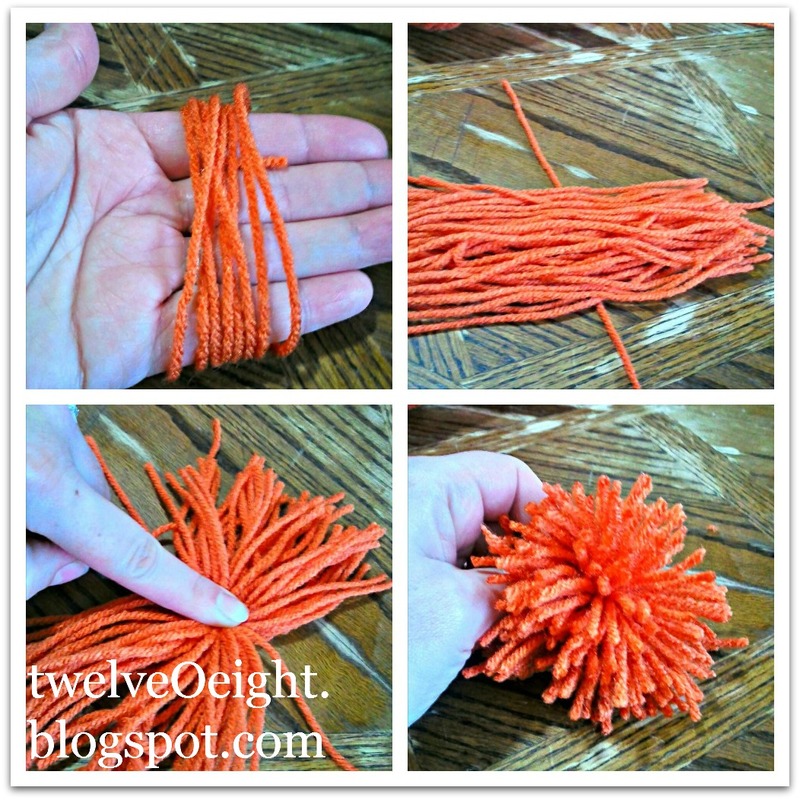 I tried winding the multi-colored and orange yarn around a piece of cardboard, then a small plastic craft box lid. I ended up just winding it around my hand as you can see in the picture above. I’m the one with the multiple hot-glue gun burns holding the orange yarn. I still have not mastered the hot glue-gun, we will save that for another day. Once I made a few large multi-colored pom-pom’s and a few smaller orange pom-pom’s I attached them on the gimpy side (where the ends of the pool noodle meet) of the wreath and voila! A new fall wreath. Not that I necessarily needed another wreath, but much like chalkboards, one can never really have too many right? 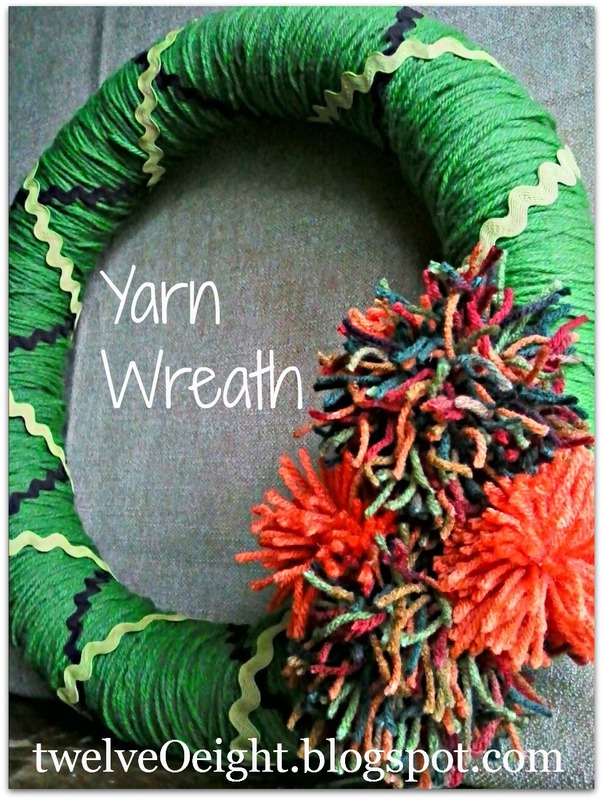 I just made a yarn wreath, but now I want to add the pom-poms!